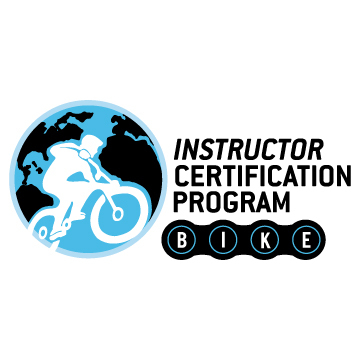 The Bike Instructor Certification Program (BICP) offers professional training and certification for Police Officers who patrol on bikes, by providing standardized for on the bike skills training worldwide. The BICP training is built on proven, successful methods nearly two decades in development, and aim to establish a standard for mountain bike skills instructor training. The BICP is a sole source provider for this training. This is the foundation for training bike patrol departments; BICP provides the tools necessary to teach on the bike skills to bike patrol officers. BICP courses are offered year-round all over the world, but primarily in the U.S., The BICP program is designed to train the trainer how to teach mountain bike skills geared to the bike patrol officer. The BICP Patrol Cyclist Instructor Trainer course was developed for Police departments with bike patrol divisions, develop some key individuals to become bike patrol skills trainers. Although this course is not to be taken as a personal skills training event, participants will end up honing their skills on the bike and gaining additional knowledge about bikes– participants should already have a solid understanding of biking, based on personal riding experience. The Patrol Cyclist Instructor Trainer course will provide direction and build your confidence to train and test on the bike skills. The Patrol Cyclist Instructor Trainer will have the ability to teach and correct basic and up to advanced mountain bike skills. Our primary goal is for all on bike patrol officers to able to discharge their duties safely. Training is complex and demanding. Although some departments/agencies will provide some form of job-specific training for bike patrol officers, they are generally unable to provide the comprehensive training required to perform your job in a safe competent manner. There are many aspects to teaching: planning and preparation, risk management, proper interaction with students, managing a group, and being fully confident in your own understanding and demonstration of the fundamental elements. We will provide you with a strong foundation for moving forward as a well-equipped, knowledgeable instructor. This course will make you think about situations you don’t want to think about, yet need to be ready for. The Patrol Cyclist Instructor Trainer course is an intense 4-day course. A 4-day course that certifies an individual to teach intermediate bike skills. Skills covered include body position, braking, shifting, climbing, descending, bike/body separation, wheel lifts and much more. This course will teach Level 1 Foundational skills before diving deeper into skills analysis. In Level 2 Intermediate, topics include stability and biomechanics, teaching strategy, teaching plans and measuring tools ie.scorecards. The Level 2 skills portion of the course takes you through 24 different skills and provides instructional information on terminology, goal setting, proper demonstrations, teaching points, progressions and more. The Level 3 Advanced skills portion is 5 additional skills to add to your toolbox. Each move is broken down into basic steps including follow-through and safety notes. Much of this course focuses on observation and how to detect and correct errors. Each BICP Patrol Cyclist Instructor Trainer will be tested on this ability during their practical evaluation. In order to pass the course, and be a certified Patrol Cyclist Instructor Trainer participants must demonstrate an understanding of the material, perform a suitable teaching simulation, and pass a written test. It is our goal to teach you to become a stronger and more confident on the bike patrol officer instructor trainer while growing a community for safe on the bike patrol officers. All BICP Patrol Cyclist Instructor Trainers are members of the Bike Instructor Certification Program and must remain current with your annual dues. Also, all Patrol Cyclist Instructor Trainers must hold a current first- aid certificate. All Patrol Cyclist Instructor Trainers are required to conduct 10hrs annual training. BICP strongly recommends annual bike skills training as a part of your department’s annual training requirements. The BICP minimum standard for all on the bike patrol officers complete to a pass of level 2 Intermediate skill. Once a bike patrol officer has completed their training, from a certified BICP Patrol Cyclist Instructor Trainer they are encouraged to register with the BICP to receive a Certification of completion for each level.